Add motion-sensing capabilities to any existing indoor light socket with the First Alert PIR725 Motion-Sensing Light Socket. 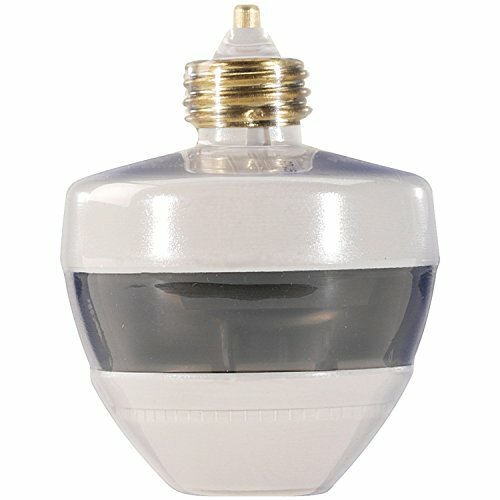 This motion-sensor light socket offers 360-degree motion detection and has a sensitivity range of up to 12 feet when mounted 8 feet above the floor, making it perfect for walk-in closets, garages, attics, basements, and stairways. Designed to work with incandescent bulbs up to 100 watts and compact fluorescent bulbs up to 50 watts, the motion light socket provides automatic, hands-free light operation and automatic shutoff that work in both day and night conditions.